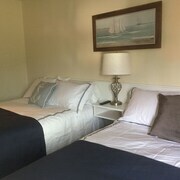 Indoor Comfort IN AN Outdoor Paradise Sleeps 4 Free Breakfast! 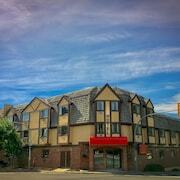 Located in the heart of Kimberley, with comfortable and clean rooms. 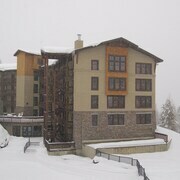 Used the hotel as a place to stay for a ski trip to Kimberley. The B&B is close to Kimberly which would be nice in ski season, and also close to the larger Cranbrook. It was convenient for dance competition we attended. Nice and quiet, spacious and all facilities that you need were available. Downside was the availability of shops without having a car to rely on. The resort shuttle bus was therefore useful. Where to find Kimberley hotels near an airport? Where can I find hotels in Kimberley that are near tourist attractions? 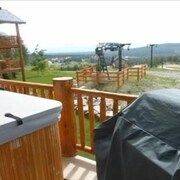 Visiting Kootenay Rockies and looking to stay in Kimberley? Expedia's accommodation network currently includes about 15 hotels within a 0.1-kilometre (0.1-mile) distance of the town center. 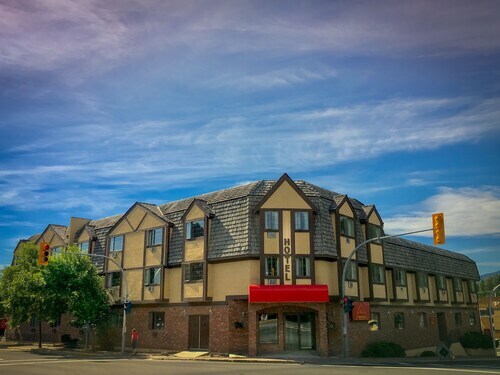 The Kimberley Inn & Suites is a much-loved accommodation option as it's located so conveniently to Kimberley's town center. 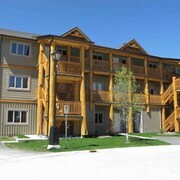 Accommodation closest to Kimberley Alpine Resort are the Trickle Creek Condos and Rocky Condos. 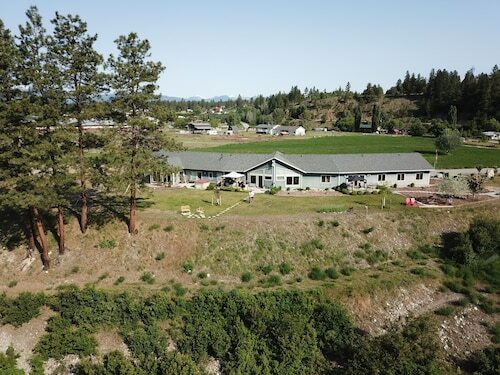 The Northstar Mountain Village and Mountain Spirit Resort are within easy walking distance of the Trickle Creek Golf Course.â€¨ The Sullivan Stone Lodge and Trickle Creek Lodge are near the Cominco Gardens. Hotels close to the Kimberley's Underground Mining Railway, include the Polaris Lodge and Kimberley Inn & Suites. 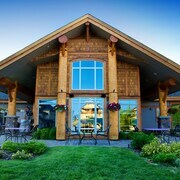 You could also check out the Prestige Rocky Mountain Resort Cranbrook as well as the Best Western Cranbrook Hotel. 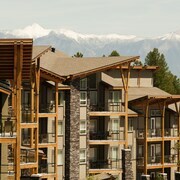 The Prestige Rocky Mountain Resort Cranbrook can be found 25 kilometres (16 miles) away from the main part of Kimberley. 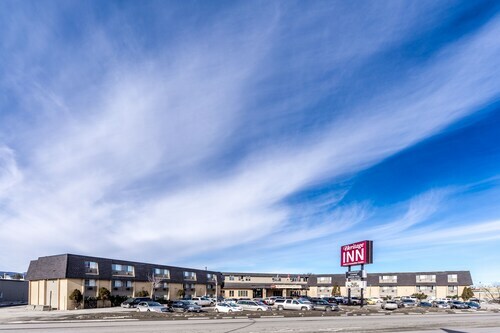 The Best Western Cranbrook Hotel is positioned 25 kilometres (16 miles) away. Another possibility is to book a room at the St. Eugene Golf Resort & Casino or the Heritage Inn Hotel & Convention Centre Cranbrook. Why don't you take the time to spread your wings and check out the other attractions around Kootenay Rockies while you are in the region? Spend time at Kootenay Rockies' art museums. Lovers of nature can also take the time to enjoy its rivers and streams. In this region of Canada, tourists can try their hand at snowboarding and skiing. Fernie is 70 kilometres (43 miles) to the east of Kimberley, and is where you'll find the Fernie Alpine Resort and Timber Bowl Express Quad. The Cornerstone Lodge and Lizard Creek Lodge are some of the Expedia-recommended accommodation options in Fernie. 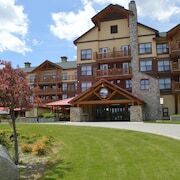 Or, stay in Fairmont Hot Springs, 70 kilometres (43 miles) to the north of Kimberley, where you'll find the Fairmont Mountainside Vacation Villas and Fairmont Creek Propery Rentals The Residences. Funtasia Fun Park and Riverside Golf Course are a couple of the popular attractions to experience for those visiting Fairmont Hot Springs. Why not visit our Kimberley travel listings and learn about the fascinating things to experience that this part of the world offers. What are the most popular Kimberley hotels? 3 Bedroom Sleeps 8 Great Value 5 Min to Golf & Ski Free Breakfast! Are You Joking? Sleeps 4 Great Value 5 Min To Golf & Ski Free Breakfast!
? ?luxurious LOG Cabin?? 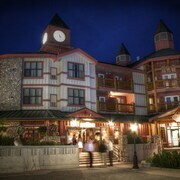 APR - MAY 22 Discounted Nightly Rate Only $199!! Are there hotels in other cities near Kimberley? 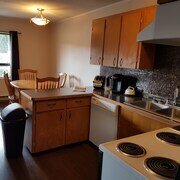 What other types of accommodations are available in Kimberley? Explore Kimberley with Expedia.ca’s Travel Guides to find the best flights, cars, holiday packages and more! Flights from Thunder Bay Intl. to Pearson Intl. Flights from Pearson Intl. to Barcelona Intl.